Sponsor: Taproot Magazine, is a quarterly print magazine full of delightful stories and photos written by and for people living fuller and digging deeper. Each issue is created around a subtle theme, featuring amazing recipes, crafts, and tales, all with the intention of inspiring people who are interested in deepening their connections to their families, communities, and themselves as they strive to live locally and closer to the ground. The content in each issue consistently blows me away. It is fulfilling and inspiring. The most recent issue WEAVE features a collection of wonderful finds as we close out Winter and step in Spring. With lessons in growing Cosmos, Paleo and homemade bitters recipes, Wendell Berry and Tasha Tudor essays, and a collection of knitting and crochet how-to’s. There is so much goodness in each issue. You can visit Taproot Magazine online at Taprootmag.com and on Instagram @taprootmag. 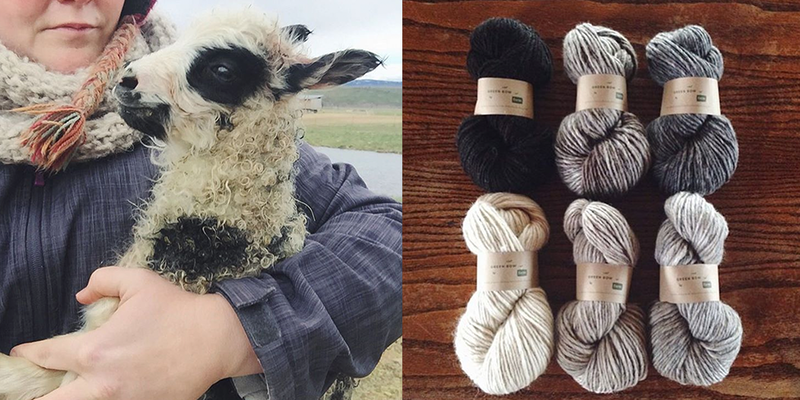 Fiber folk: Over the past few years I’ve had the pleasure of getting to know Matt and Christina of Greenbow Farm…first discovering their yarn, visiting their farm and following their incredible journey on Instagram. This first generation family run farm is an inspiration, that with hard work, sacrifice, gumption, drive and business savvy, you can achieve your farm dreams. They are ‘doing it’, creating a living on and from their farm. I hope you’ll take some time to visit their site, Instagram and shop and if you’re in the Seattle area, you can find them at the West Seattle Farmer’s Market every Sunday. Visit greenbowfarm.com and find them on Instagram @greenbowfarm. Sponsor: I want to thank Taproot Magazine again for sponsoring this week’s episode. With the natural, easygoing and heartfelt focus of each issue, I find myself continuing to go back to it throughout the quarter, gaining a little something each time and looking forward to the upcoming issue. 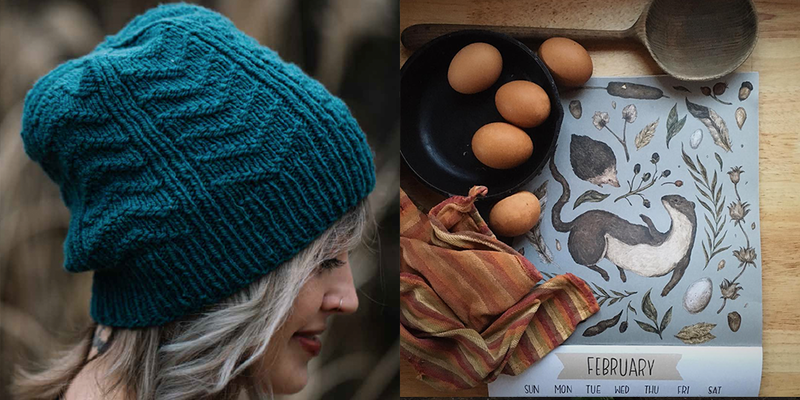 Make sure to check out the most recent issue WEAVE, featuring the Quill hat pattern from Andrea Mowry knit in Stone Wool, Three French Hens knit toy pattern from Susan B Anderson knit in Bartlett Wool Co. and the Rosemound Scarf crochet pattern from Ashlynn Holmes crocheted in Quince and Co. 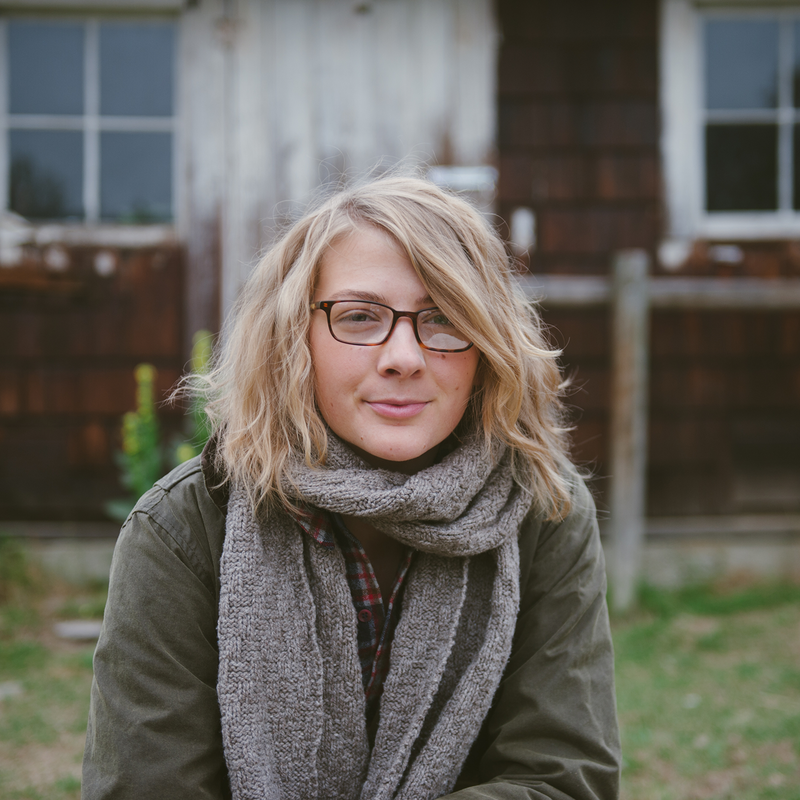 I highly recommend you visit Taprootmag.com and renew or subscribe. Knitalong: This past November we kicked off the year long Woolful and Biches & Buches knit along. You can join any time this year by casting on one of Biches & Buches patterns or a project with one of their yarns. Visit bichesetbuches.com to be inspired and find your project kit or yarn and visit Woolful.com for more info on this knit along. 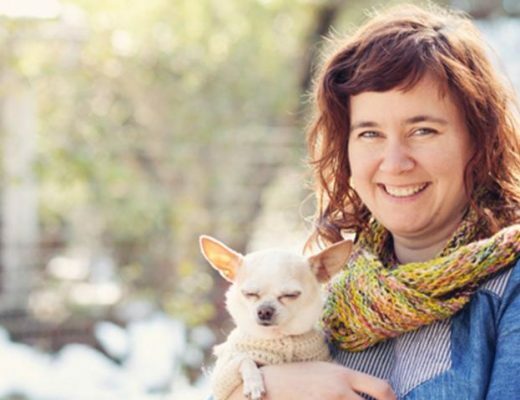 This week we have another knit along giveaway winner, Theresa L. You’ve won a $30 gift card to the Woolful Mercantile. Congratulations! Giveaway:The winners of last weeks giveaway are MaryBeth, Danna and Becky. You’ve won a copy of Sylvia McFadden’s Shawl Joy and a Skein of Woolful’s Cottage yarn. Congratulations! 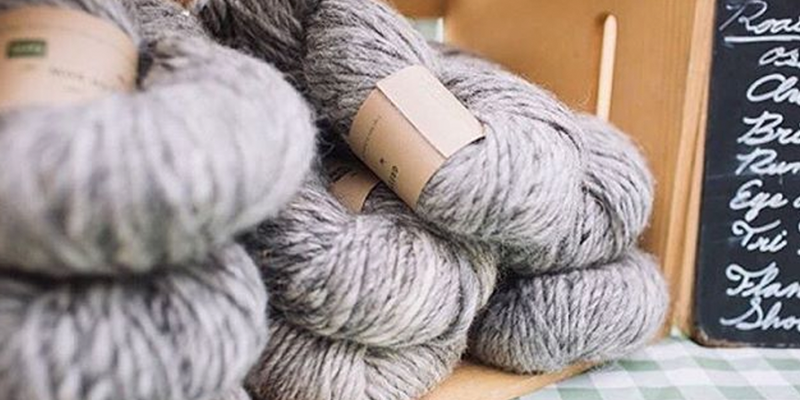 This week’s giveaway is sponsored by Taproot Magazine and Greenbow Farm and they’re giving away a 2 year subscription to Taproot, 2 skeins of Stone Wool yarn to knit Andrea Mowry’s hat patterns in, and 2 skeins of Greenbow Farm Lopi yarn. To enter leave a comment on this blogpost. 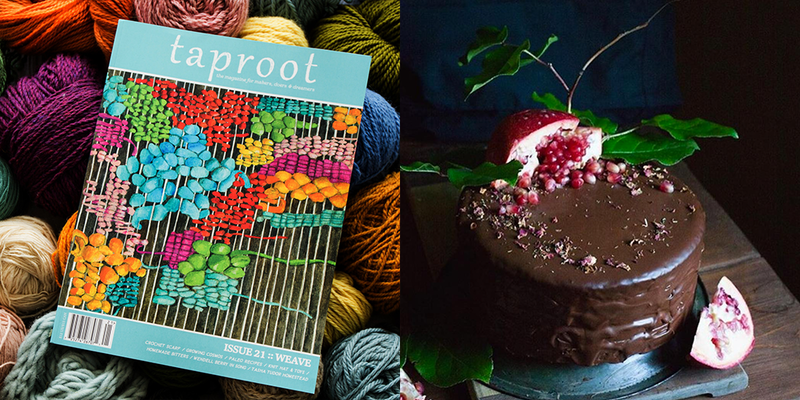 I love to try new wool yarns and I’d love to get my hands on the Taproot magazine. I’m enjoying the calendar! The subtle themes in Taproot are so fun and the variety is great, but perhaps the no adds is the most unique! Taproot magazine is wonderful. Would love to try some of the different yarns. Yum! Love that greenbow farm is in my area, and sad I didn’t know about them sooner! I’ll have to visit West Seattle farmers market in the lovely summer days. Also, taproot, stonewool and greenbow yarn…what?!? That’s awesome! So nice to here their story .Farming in every way is so wonderful .The long hours and hard work is so rewarding.At the end of the day , it’s hard not, to sleep well.Thank your podcast . Taproot has the best articles.Love their Reads. Can’t wait to listen to this episode! Thank you so much for introducing this new farm and the wonderful Icelandic wool yarn to my life! Can’t wait to visit them in farmers market!!! Can’t wait to listen this week. I enjoyed looking at the beautiful images in this post. Always a pleasure to listen a new wool story. Human work is so wonderful ! Thanks a lot ! I’ve talked my local library into carrying Taproot Magazine. It’s an amazing publication. I read it cover to cover a few time. Wonderful episode. What a treasure chest this podcast ist! I have now listened through several episodes ( … while knitting of course!) , and am now looking forward to this newest one. Wow, number 76 – I admire the heart and hard work behind this. And thanks for the generous give away. I have never had the Taproot magazine in my hands, but have admired it on the web. And with the cute Quill hat pattern included it gets even more compelling. Another incredible and inspiring episode. I am trying to really get my business moving but with two young boys and limited resources it’s hard but hearing all of these stories tell me that I can do it and I must persevere. Thank you. Inspired to do more of what I love! The photos on this post are gorgeous and I can’t wait to listen to the episode! Thank you, planning on listening during my car ride tomorrow, heading to a craft fair. I tremendously enjoyed this episode! I’ve been following Matt & Christina on Instagram for some time and, even though I don’t actually know them, they feel like old friends. Hearing them tell their story was a real inspiration. Thanks, Ashley, for having them on! Plan on buying this latest issue of Taproot – what a wonderful magazine! Matt and Christina seem so nice. Fun to hear their voices and stories. Thank you for another enjoyable cast! Great episode. 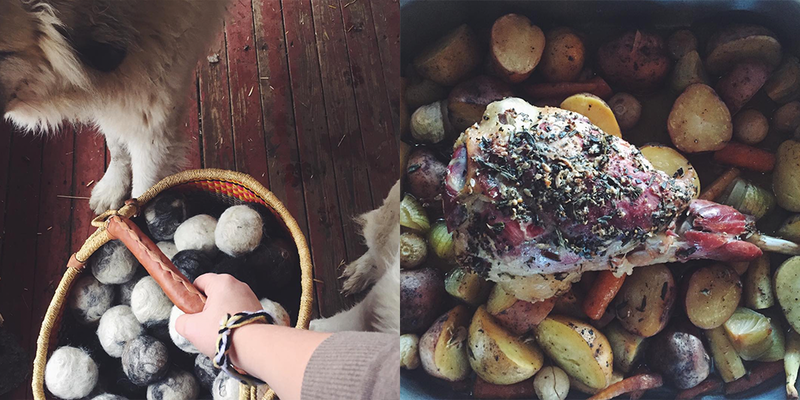 I love the Greenbow Farm instagram feeds! Ashley, this young farming family is so inspiring. These farming stories are the best. Foundationally, I use lessons learned everyday, whether its problem solving or the idea that no job is too big or too difficult. 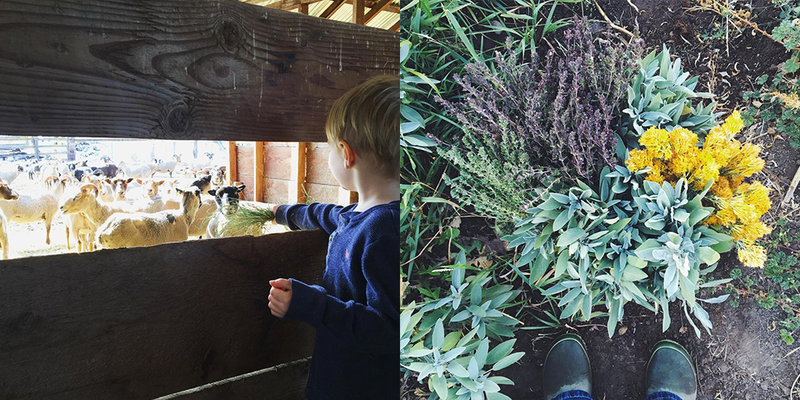 Growing up on a farm is the best for having the tools to stay grounded in this world we live in. Would love the opportunity to knit with Matt and Christina’s wool. I loved hearing about Greenbow Farm and Matt and Christina’s commitment to regenerative agriculture! I hope more and more farmers start doing this! Such hard work, but a nice way to live. Hopefully more and more will head back to the land in this sustainable way. Well done! Wow, what a great giveaway. Thanks for everything! Summer before last (?) when there were some tough drought conditions, I ran across a fundraiser for Greenbow to help them get through that time. I received a tee shirt for my donation. I didn’t know much about them and, while generally local to me (I live on an island about and a half north of Seattle), I am not close enough to easily get to the West Seattle Market to try their products. I was thrilled to listen to this podcast today to find out so much more about them. My hope is that as they grow, they will inspire more young people to take up their kind of farming. Loved the interview and I hope to someday be able to try their products. Thank you, Ashley, and thanks to Matt and Christina for helping to change our food supply one farm at a time. Quite the success story. Interesting to hear about the Icelandic sheep and the challenges they offer. Thanks! Best of Luck to you, Greenbow Farm! I’m following along on IG to watch your progress 🙂 Your fresh and cooked foods always have me drooling, lol. And the Icelandic yarn sounds amazeballs!! Thank you, Ashely and the Sponsors, for a wonderful episode. I’ve been dying to try Stone Wool Cormo, and Andrea Mowry’s new pattern will give me a perfect excuse! Can’t wait to listen to the new episode. What a great podcast this week! I finished listening to it feeling inspired and full. Ooh! I Just discovered this blog, thanks to Karen Templer of Fringe Association and her friendly shout-out to you. I’m excited to read more! The Stone Wool looks amazing to work with! I’m going to order some of that rose yarn looked it up its beautiful. So inspiring to here about rotational crop farming on so many levels! Kudos to Greenbow for making a difference all the way down to the soil. Another thoughtful podcast, I’m sorry I don’t live close enough to buy Greenbow products at the farmers markets. I am so thrilled to listen to this interview with Matt and Christina. I grew up and still live in West Seattle, and my husband and I always look forward to going to our Farmer’s Market to see Greenbow. 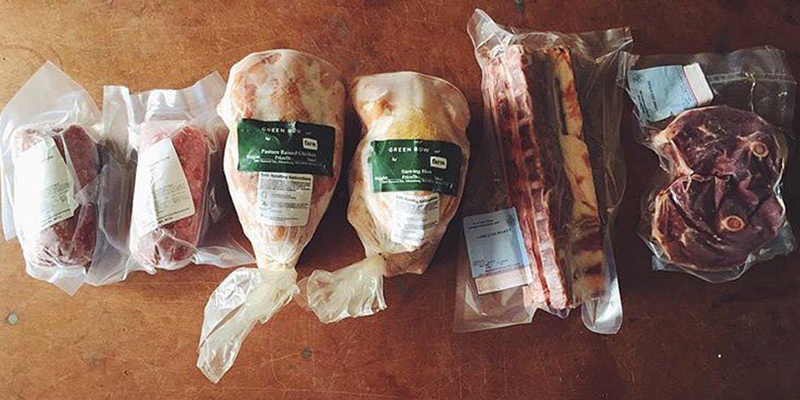 We love supporting Greenbow and are very grateful for the goods that they provide to us all the way from their farm. I loved listening to their story of growth. 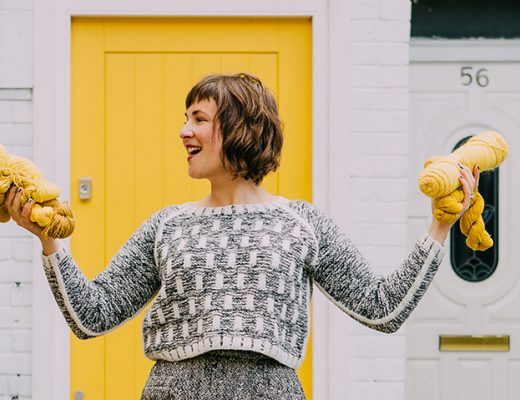 Love Taproot and Stone Wool and your podcast! Thanks for the chance!! Oh I love this families story! So inspiring and helpful as my family starts our own farm adventures. I can’t wait to listen! 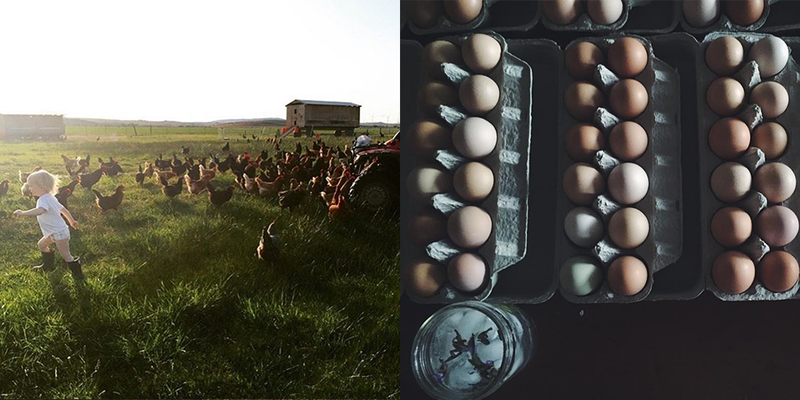 I always love Greenbow Farm’s photos on Instagram – I’m excited to learn more about them and their process. What a wonderful interview. I wish I lived closer so I could visit–often! Thank you for the well done podcast. Really enjoy listening to this podcast and am going to check out the West Seattle Market once the weather warms back up. 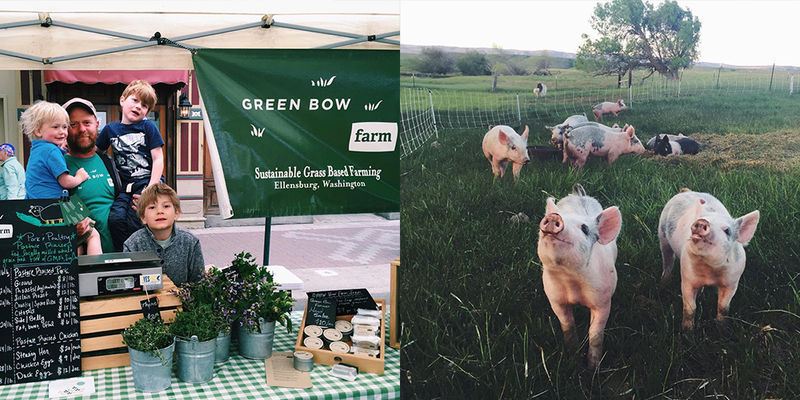 Following Greenbow Farm on IG and living in Seattle and visiting their West Seattle Farmers Market stand makes me feel as if these lovely people are my friends. Thanks for letting the rest of the world get to know more about them. I would love to knit with such intentional yarn. Very interesting episode. Thanks, Ashley. It was interesting to hear about all their different products they produce on their farm. Thanks for sharing! Another inspiring episode. I loved hearing about the progression of the farm from start to where they are now. I used to live in Seattle, I wish I had known about Greenbow farm! greenbow farm! my grass based heroes! I recently quit my job because it was taking little parts of my soul everyday and now trying to figure what I want to do every day for the next 50 years and your episodes are a massive inspiration to me, so thank you!! Interesting episode, I love it! It was very insightful and inspiring. Also, that yarn looks wonderful, and I love the colors. As always, listening to a new episode was delightful and inspiring. Thank you for introducing us to so many amazing fiber folk and helping us to get to know them. I thoroughly enjoyed this interview – thank you! What a lovely couple. I would so love to be near a farm like this one, but a subscription to a great magazine like Taproot would make me very happy too! Lovely episode, as always. Makes me want to get outside. I first discovered Greenbow Farm thru your podcast. So such a blessing to hear you interview them. Lovely as always! The intention with which they approach their farm is admirable and so in tune with what our planet needs now. I admire these farmers so much and appreciate how hard they work. I’d love to win a subscription to Taproot. I got an issue for Christmas in my stocking and loved it. Please enter me in this wonderful giveaway!! Their Lopi yarn is amazing!! …and Taproot, even better. 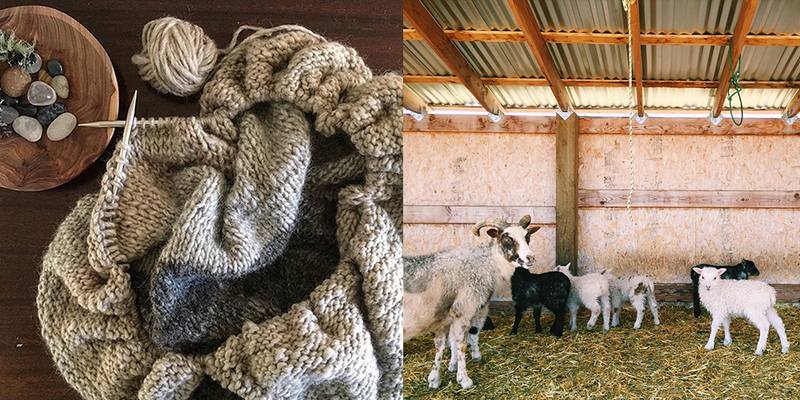 Their farm and yarn sound and look so dreamy! I really enjoyed hearing about all the hard work, hopes sand dreams! Good luck to you all! Love the blog ..,thanks to my link to my newest magazine favorite, Taproot! I love the farm and it’s name…can’t wait to visit when I am in the area! Just a delightful episode! 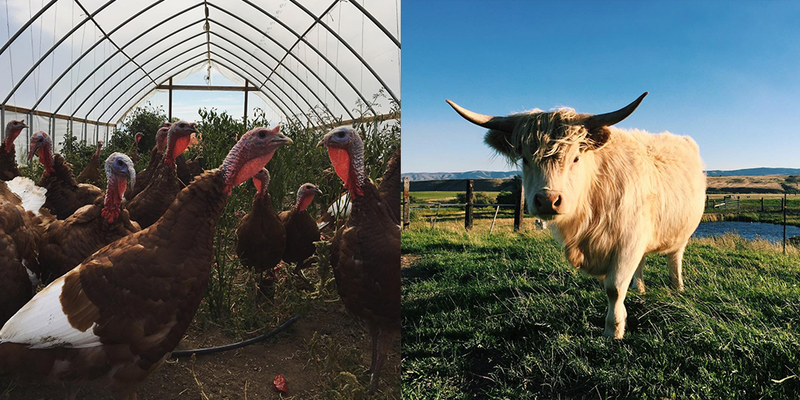 I love Greenbow Farm and their IG feed, so inspiring in many ways. Wished I lived locally to try their farm products at the market! The wool and sheep —! 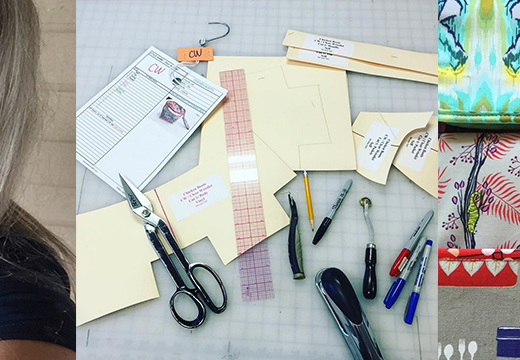 Taproot is inspired, and love ALL of Andrea’s gorgeous patterns! All too good to be true! A delightful episode that took me back to childhood memories of summers at my families farm. I had my own pet cow and loved to feed the hens and collect the eggs. I thank my family for instlling the love of land, animals and making slow cloth. I think the interviews with farmers are some of my favourite Woolful episodes — so important to here from those who produce the raw materials that become our food and clothing. I’ve been holding off subscribing to Taproot in the hope I’ll win one of those generous subscription prizes through Woolful. Thanks to all the sponsors for their generosity! Another wonderful episode… So enjoy these maker’s stories! And what a generous giveaway! I so enjoyed this family’s story. Hoping for the very best in their next chapter. The give away isn’t too shabby either. Can’t wait for my fix of fiber related discussion. I love the show and would like to hear more about what you’re up to as well as great interviews. Another really great listen. thanks! After listening to this story, I feel a renewed sense of appreciation for the local farming families who set up at my weekend farmer’s market. They truly define the spirit of community. Thank you. Thank you, thank you for your ongoing inspiration and the integrity with which you carry this beautiful work. Wow! Great episode and such hard working people. …..so inspirational. Love your podcasts Ashley. I have been listening to them on my regular 4 hour drives to visit my mom. Ever since discovering your podcasts, I anticipate the drive with excitement 🙂 Thank you for allowing us to ‘see’ into the world a bit, of so many wonderful ‘fiber folk’. Happy ‘Living and Dreaming in Idaho’! Local Lopi?!? Amazing! Thank you for this fab giveaway and introducing me to another inspiring PNW “neighbor”! Thank you for another nice episode about making and living life following the rhythm of nature. Taproot magazine is incredible, so beautiful. Wonderful episode! I always feel so inspired after. Love the Greenbow rose-colored yarn. I had no idea you could make that kind of shade from undyed wool! Thanks for another great episode! Also, I love that photo of the pigs. Great podcast! Love hearing these stories! Thank you for sharing the Greenbow Farm on your podcast, it was a great story. 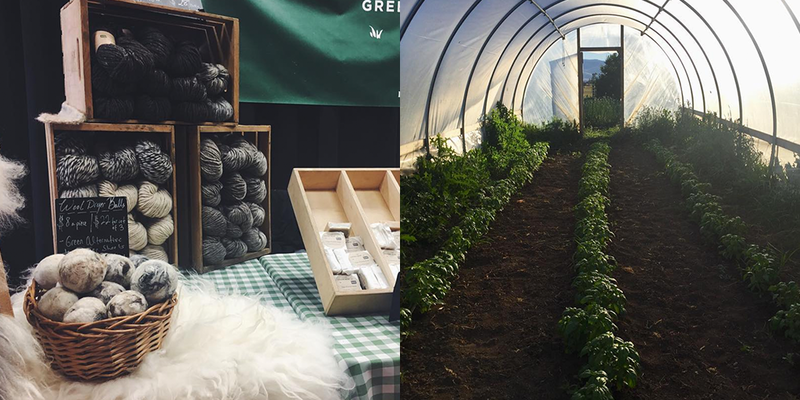 My Islandic heritage and knitting passion have both drawn me to Greenbow Farms. So glad to know they are not far from my backdoor. Thank you for another well done podcast!! I’m a new listener and I find. This podcast so inspiring!! When I listen at work I just can’t wait to get back home to pick up fiber projects.:). Thank you for bringing these stories to us. This week’s episode was especially interesting to me since I’m of my cousins just made a similar move from city to farm on the east coast. They are just getting started raising livestock and growing vegetables and have a similar direct sale business model. Hopefully they will make it like this family has. I think they are made of like stuff. This has to be one of my favorite episodes yet. I so enjoyed Matthew and Christina’s inspiring story. Beautifully done. I love the photos of farm life. Would love to try their yarn! Great interview! I’m thankful that there are people farming in this way! Beautiful pictures as well. Loved this, and Taproot is without a doubt my favorite magazine! So glad they are sponsoring one of my favorite podcasts. Oh, what a gorgeous farm! I’m so inspired by the pictures! Thanks for this great episode. Good to hear Greenbow’s honest and dreamy depiction of starting a farm from scratch. I love this podcast. It is very zen for me as a small business owner. I listen to it as I sew all day! Matthew and Christina are #relationshipgoals. I love hearing farming stories like these, but this was an especially wonderful and inspiring episode where we get to hear from two people working together and supporting one another. Their farm and fiber sounds/looks like an absolute dream. Putting Greenbow Lopi on my F/W supplies list for sure! Loved this one. Totally down-to-earth and practical. What a great interview with Greenbow farm and their journey to where they now are, offering such a full spectrum of products. These guys work hard! Like so many woolful podcasts, I love hearing where people come from and how they got to where they are, often from a very different path than the one they are now on. Thank you for another great episode! It’s such a joy to hear from farmers like Matthew and Christina: reflective, resilient, regenerative. Ah, such a great episode. Thank you! Thanks for this podcast. I so enjoyed hearing about the journey. Blessings! Another great episode. Thanks for sharing! You had me at “learn how to grow Cosmos” in your introduction to Taproot Magasine. I am growing flowers for my friend’s wedding this summer on our homestead in Westchester Station, Nova Scotia. I loved listening to other farmers’ experiences, especially first-generation mid-career farmers. Thank you for all you do! I think Christina & Matt have a future in educating farmers about caring for the land! 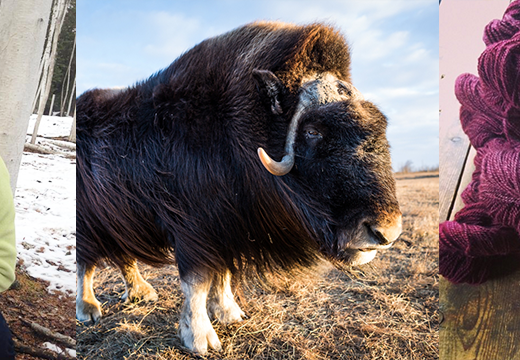 I’m so inspired by their story & appreciate the chance to win some of their beautiful yarn. Taproot is the best! AND two new yarns to try??? Yes please! Another inspiring episode. I thouroughly enjoy your podcasts! Taproot is fantastic and I’m glad they sponsored this wonderful episode! I loved hearing about Matt and Christina’s inspiring story and how they work together. I would love to try their dreamy looking Lopi! Amazing, articulate energy from this couple. Thoroughly enjoyed learning about them, thank you so much. Such a great episode!! Thank you for another interesting and informative podcast!!! Enjoyed Matthew and Christina’s story on about their farm. Enjoy your podcasts so much…Thanks! I follow both Matt and Christina on IG and I loved learning more about them. The way they care for the land and their animals is so harmonious and inspiring. I live about 1-1/2 hours away and one day I hope to visit their new farm! 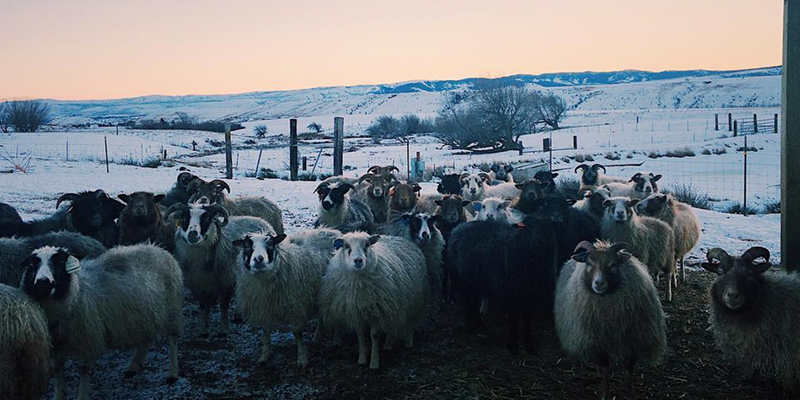 How interesting to learn the differences they found in their Icelandic sheep fiber! Thank you for sharing another great story. Thank you for another wonderful podcast. I would love to try these two yarns… and of course,,Taproot! It’s a splurge I haven’t been able to swing yet, so I would be over the moon to win a 2 YEAR subscription. Thanks for a great giveaway! I would be delighted to ge included in the contest for this episode. What a beautiful farm and yarns! Another amazing episode and giveaway!! 🙂 I sure enjoyed listening to your conversation! Thanks for all you do! I love hearing stories of hardworking, passionate people. Our daughter lives in WSeattle. Looking forward to meeting the Greenbow Farm folk next weekend. What an inspiring story this couple shares! And such beautiful yarn. Thanks for introducing me to Greenbow and for offering yet another generous giveaway. Oh, I have been dying to get my hands on some Stone Wool, and Greenbow sounds amazing. What an inspiring episode! So looking forward to listening to this episode! Thanks for sharing. The images on the blog look amazing – I am really looking forward to listening to the pod cast! My partner introduced me to it, and it is always interesting and educational (a great thing to listen to while I knit!). Ashley, this was a wonderful episode for me! I live in Seattle and have been collecting ‘obscure’ skills recently, specifically butchering. I don’t have a spot for a large quantity of meat yet, but in the near future I want to be able to buy a side of lamb or pork or beef from local farmers, so thanks for introducing me to Green Bow! I’m also in love with Icelandic wool and have a growing collection of different breed skins. My next large purchases are set! 😀 Keep up the wonderful storytelling! This was a wonderful interview. I love what this young couple is doing and their commitment to natural farming. Thanks for the generous giveaway. Such an enjoyable episode! Thank you! this blog is so inspiring! thank you for bring great stories everyweek. I love Taproot magazine, thanks for the lovely giveaway! It was inspiring to learn of Green Bow Farm’s connection to nature and community. Hard work plus love…wonderful. Loved the episode! Thank you! Another wonderful episode…. So look forward to these. Thank you so much for the awesome episode! My husband and I have dreams of owning a small farm some day, so I’m definitely going to have him give this one a listen too! Would love to try Stone Wool! Thanks — I love Taproot and just renewed! What a great episode — I love to hear and see how small farms make their way in this world and fit into communities both large and small. Thank you! 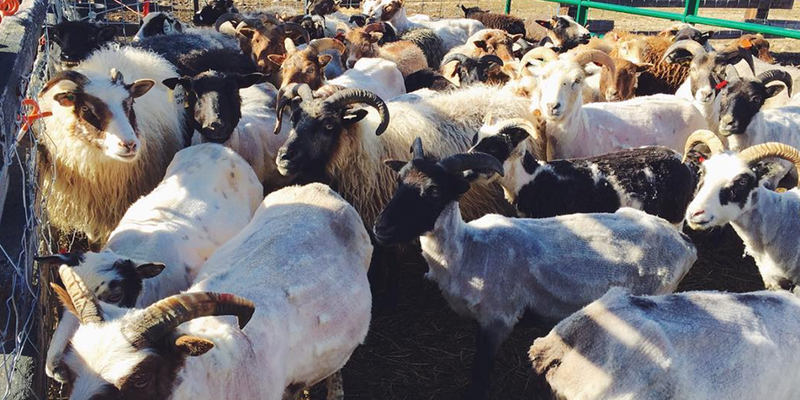 Greenbow Farms is so inspiring … a quiet dream of mine is to get a farm and raise sheep and goats. But not for meat 🙂 Thank you for introducing me to Taproot magazine, what seems like the perfect cozy chair cozy up combo of making, farm, and food. Loving the podcast and I love Taproot Magazine, from the great state of MAINE! I just love taproot magazine. It’s great to hear what farms like GreenBow are doing. Another great episode and so much inspiration. Yet another great episode! Greenbow’s story is so inspiring and gives us hope that farming, even small scale farming, is not lost on the younger generations. Thanks for letting us dream a little longer with this episode Ashley! Delightful podcast! I wish I lived nearby so I could visit the farm. I love Taproot and would love to try wool from Greenbow Farm! Such an inspirational couple! 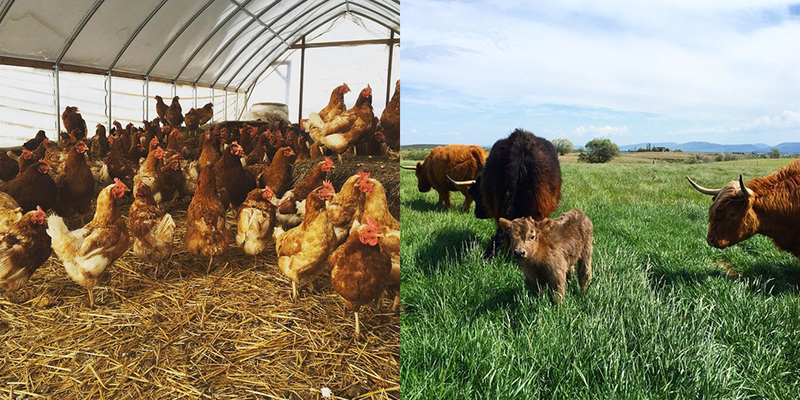 Their farm is truly an example of healthy, sustainable living for both humans and their animals. So excited to learn more about them. I don’t know much about farming, so I found this episode very interesting! Thank you! Your podcasts are so inspirational and the synergy with Taproot makes my heart Happy. It’s delightful to stitch and listen. A lovely farming family…Thank you. Such a great episode! I really enjoyed listening to how their farm works. Thank you for another very interesting episode, and for the lovely photos on your blog. The Green Bow yarn sounds like a great product. Beautiful pictures and information about this farm. Icelandic sheep are so adorable! Great story! I want Icelandic sheep now! Thank you! I love Taproot so very much, I just found it not all that long ago and love all that they put into their magazine! Farming is truly a labour that takes all your heart and dedication. Love to hear these stories, thank you so much for sharing them – it has broadened my fibre horizons! Likewise, I appreciate the dedication and heart of the team behind Taproot, it’s as inspiring and empowering as it is a lovely publication. This farm and family sound amazing. I loved this issue of Taproot – still savoring it. Thanks for a lovely podcast! Awesome podcast and great pics!! What an interesting story about their move onto a farm, and its consequent expansion. 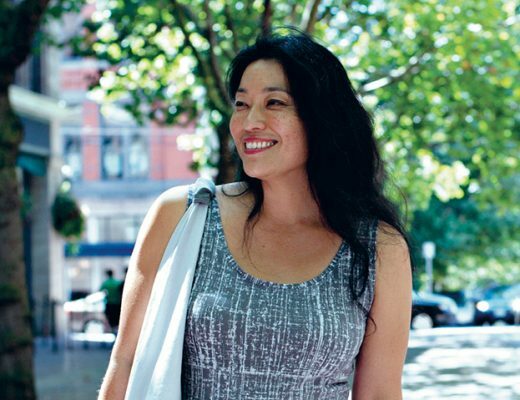 An amazing story and a gorgeous yarn. Thank you for another excellent podcast. Another great podcast, thank you! Another beautiful and inspirational episode. 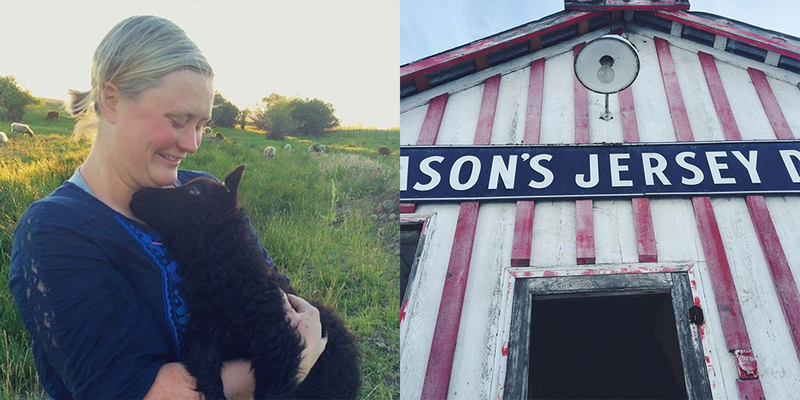 I wish there were more smaller scale farms like this one, selling local wool on Vancouver Island – that would be amazing! Taproot sounds like an amazing magazine, how generous of them to give away a subscription! What an interesting story! Loved hearing about Green Bow Farm and the many things that it produces! Great story and it was super interesting to learn about rotational grazing all their livestock and icelandic sheep in particular. Finally got to move to some acreage on 2014 and so admire people working so hard to take care of their land and learning so hard to coax an honest living from it. Just found your podcast, Wonderful! What a fantastic episode! I love hearing the stories you find. I also fell in love with Icelandic sheep while I was on honeymoon in Iceland, interesting to hear about the difference in diet effecting the fiber softness! I’ll have to get some of their yarn to compare to the lopi I brought back! I listened to this episode while dog walking on our mountain this morning. There was so much good information and I have lots to think about. This might be one of my favorite interviews. The idea of small farms is wonderful and I wish there were more, especially near us. Loved hearing about the Icelandic sheep and the Highland cattle. I loved this one – always so interesting to hear about people who start farming especially since it’s a dream for my husband and I.
I am so inspired by this episode and the Greenbow story! Thank you for another great episode and giveaway. Wonderful episode! I loved hearing Matthew and Christina’s story. Loved this episode! I’m a new listener (don’t know why on earth I waited so long to start), but after this one I’m totally hooked. 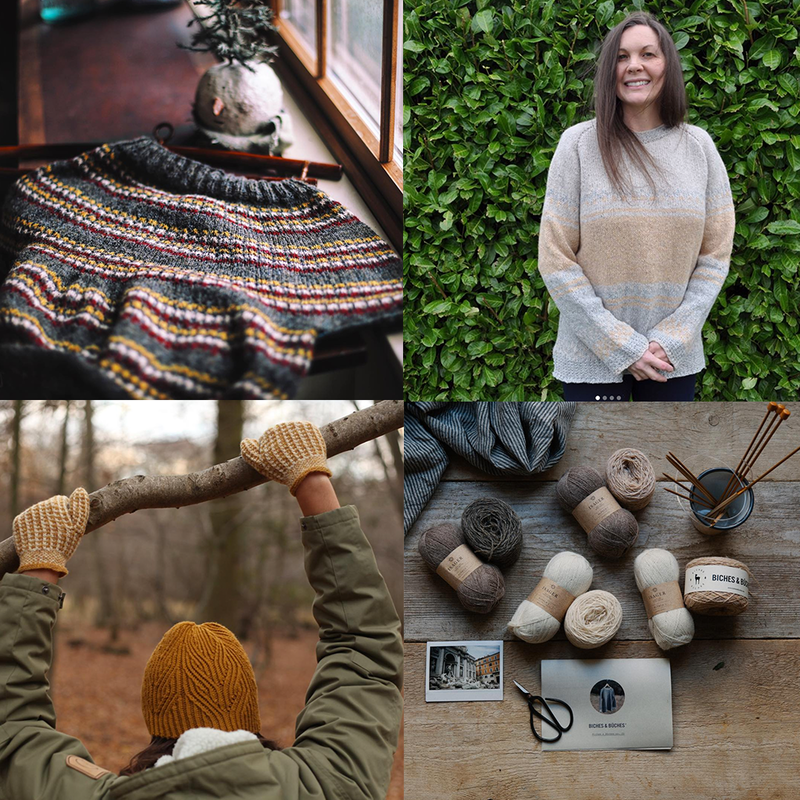 I would live to play with some Greenbow yarn and I’ve been wanting to check out Taproot. Thanks for the generous giveaways! Thank you for another inspiring episode. As always a great episode and what an amazing giveaway! Haven’t been able to listen to this episode yet as I’m approaching my data limit for the month ()…means I get to binge next month. But…couldn’t pass up the chance for Taproot (!!!) and gorgeousssss yarn! love this episode and icelandic wool!! I’m such a fan of Taproot. Thank you! Big fan of Taproot and Greenbow Farm! 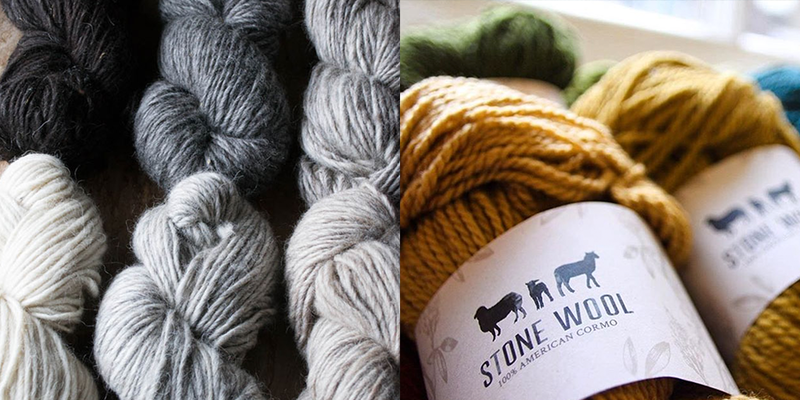 Would love to try the new Stone wool yarn as well! Thanks again for another great episode and giveaway! What lovely treats to offer….fingers and toes crossed! So inspiring, wow! Thank you. Love everything about this <3 Thank you as always! This episode was so wonderful to listen to! I would love to get my hands on Taproot or on this yarn! Love Taproot–cannot wait for my next issue to arrive! Thanks for such a generous giveaway! Taproot is a lovely magazine, and this last issue was definitely a keeper. That yarn looks pretty amazing, especially the luminous lopi stuff. And here l am with all my fingers crossed! I loved this episode. I listen to Woolful on my way to work – it’s the perfect length for my commute (and perfect for my train ride through the green, Dutch pastures full of sheep!). Thanks for a great show always! Love Taproot and would love to try this yarn! Another inspiring podcast, always a wonderful listen!! And such an incredibly generous giveaway. A heartfelt thank you to Yourself, Taproot & Green Bow Farms. Great episode. I’m finally caught up and also just got the latest issue of Taproot. Great interview. I’m looking forward to trying Greenbow yarn! I’m going to look them up. Thanks! So grateful for having all of you–Ashley, Taproot, and GBF–to draw knowledge and inspiration from! Wish I were close enough to enjoy Green Bow at local market, but very happy that I might be able to lay my hands on some crazy-cool yarn! Would love to win! I very much enjoy this podcast! Thank you. This episode was great. Thanks for the giveaway! As always, another great episode! And I just love Greenbow Farm’s yarn! I think I missed the deadline for the giveaway but all the same I have to say I enjoy all your podcasts and love listening to them. You let your guest(s) do most of the talking and it’s nice just to sit back and listen to their stories. Thanks for all you do! Love this podcast and enjoy the story on Greenbow farm this really inspires our family and our new adventure! Thank you Ashley! Listening to Michael and Christina’s story really took me back. I grew up on a small farm with parents so very much like them. We vended at our local farmers market for years and years. We had huge, huge gardens and cows, pigs, sheep, goats, rabbits, chickens, ducks and geese. My parents made it look easy. They just did everything right! I really enjoyed this episode!